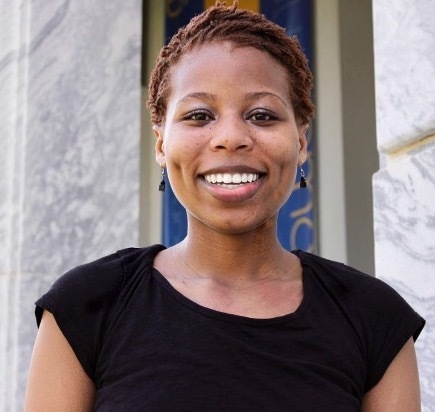 In school, Eboni participated in Lime Connect’s national fellowship program, which provided her the skills to ask for the accommodations she needs as well as the confidence to seek employers who would invest in her talents and potential. Eboni admits that during the hiring process, conversations about disability with employers can be difficult. On top of that, having an invisible illness adds to the complexity. The invisibility of Eboni’s illness “is a privilege and a weight to carry.” While people with invisible illness sometimes “pass” as being able bodied and have the option of not always having to disclose, they are often asked to prove that they have a disability. Before her current position at Google, Eboni enjoyed her last internship at a finance service center but occasionally her “Lupus fog” (moments of cognitive impairments that can come with the chronic inflammatory disease) would momentarily get in the way. Eboni struggled to think about the best way to tell her manager without threatening perceptions about her productivity. Eboni thinks these communication issues could be avoided if these conversations were had at the start of the hiring process instead of becoming an HR problem down the line: “I’d love it if we didn’t even start talking about disability, we just talked about accommodations. Because every single person has different tools that would make them one hundred percent more spectacular at their job. And those tools, resources and open communication can make it better for everyone to work well together and individually.” If companies were up front in initiating causal talk around accommodations, Eboni believes it would signal that they offer a supportive environment for people with disabilities to succeed. Eboni majored in strategy and management consulting and sees the lack of disabled workers in tech as a business issue. She thinks the tech industry needs to realize that disability is not something separate from them. If approximately 1 in 5 Americans have some form of chronic disability, Eboni said, then this “affects employees, their customers, their stakeholders, and people all over the supply team network.” Hiring more people with disabilities isn’t just an equitable practice, it gives a business access to more perspectives and creates a more accessible product which provides a competitive advantage and affects your bottom line. Eboni cited a recent McKinsey study that backs up her thinking. The 2015 study showed that ethnically and gender diverse companies are more likely to out-perform non-diverse companies above the national medium. Interested in more on disability in tech? On Tuesday, August 22nd, from 2-3:30 pm PST the Students for Access will be hosting a free webinar “Beyond Diversity 101: Learning from the Perspectives of People with Disabilities in Tech.” To join us, please RSVP. Captioning will be provided.